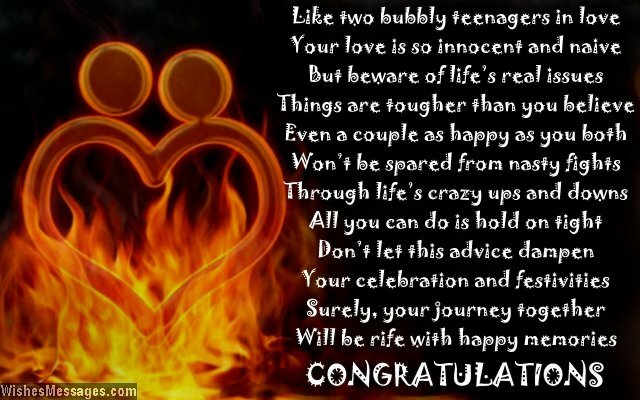 Funny Engagement Card Poems: Looking for humorous ways to say congratulations to a newly engaged couple? 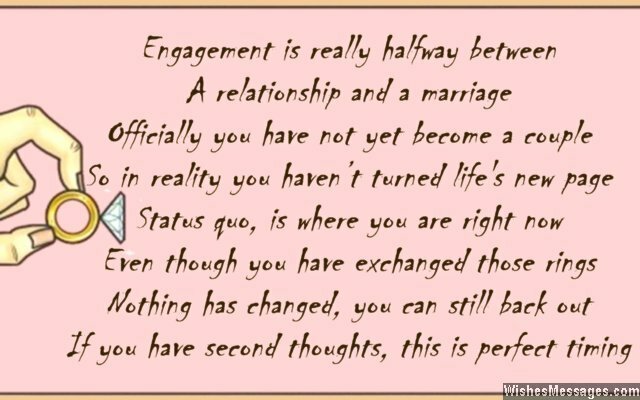 This post is a quirky mix of poems that make fun of love, rings, commitment, looming matrimony, wedding bells and almost everything else that is associated with becoming a fiancé and fiancée. Read them and get inspired to write your own and original messages for the to-be husband and wife. Before you bombard the couple with your sarcastic quotes, be sure about the fact that they will be able to take your wishes in the right spirit. If you think that putting your borderline humor on a greeting card is a bit too risqué, send it as a text or forward it to everyone in your Snapchat group.